Happy Saturday! If you are new to my blog, you may not know that I decorate cakes for fun. You can check the others out by clicking the "cakes" label on the sidebar. This is my daughter Shelby's 6th Birthday Cake from last weekend. 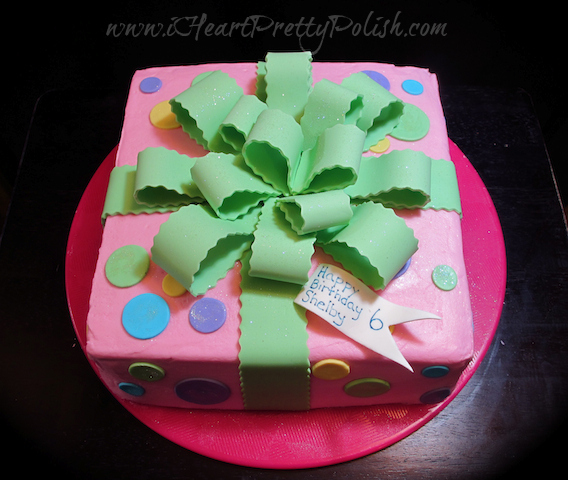 She wanted a polka-dot theme and wanted a cake that looked like a birthday present. So here it is. This cake is a 10 x 3 square marble cake with cream cheese frosting. 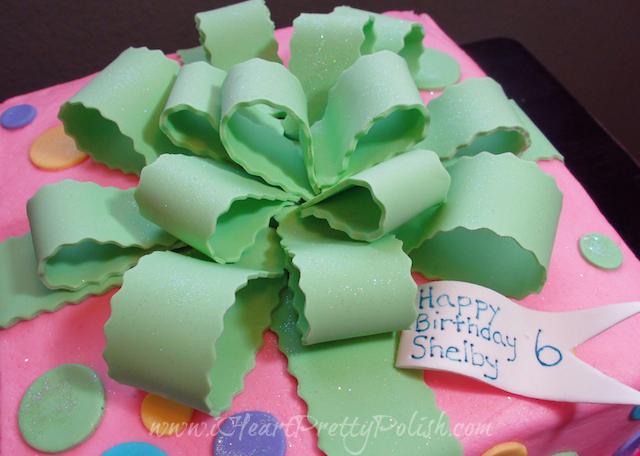 The polka dots and ribbon around the cake are fondant and the bow is gumpaste. I made the pieces for the bow the night before because gumpaste needs time to dry. I finished the look with edible glitter that you can't really see in these photos. I ended up moving the little tag with Shelby's name to the other side and it looked like it was coming out of the bow. The best frosting to decorate with is buttercream; however, I think buttercream is too sweet. The rest of the family says they like it, but I think they are just being nice. Argh, this was the worst to work with so far! You can probably tell around the edges on the top picture - they are far from perfect. And the frosting was heavy, so it slid down on the sides while I was trying to smooth it out. I held it together and didn't cry while decorating this one. My father-in-law happened to be there (plowing our driveway- yep, it just keeps on snowing here in Minnesota) and came inside and watched a little bit, so I had to pretend I wasn't a crazy lady... end rant. So cute! I don't know how anyone could cut into that, it's so pretty. I'm so glad I'm not the only one who has baking related (non)disasters. My last cake definitely got some tears and then ended up being great in spite of it (or maybe just to spite me and my dramatics). This turned out so cute! Oh good, I'm glad I'm not the only one too. Do you have pictures of your cakes? Do you decorate a lot of them for a hobby? It's so stressful, but usually the end result makes it all worth it. I know, I had a hard time not eating it while I was making it. Yummmmm. I never have that issue when making buttercream. You are like my mom and step-dad, they always want the corner piece with the most frosting. And I scrape mine off. 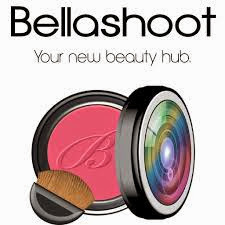 LOL, shorteningcream:) Thanks so much for your compliment. I love it, Essie. You got a pretty cake (albeit a STRESSFUL) pretty cake, and it was great to eat, too! Thank you so much - what a nice comment. It's awesome!! So pretty and adorable! I love buttercream, my mother hates it though.